Schedule your interview today with Hutchinson Regional Healthcare System! Take the Next Step - Become an RN at Hutchinson Regional! Join our team at Hutchinson Regional Medical Center! Be part of an integrated team providing optimal care to patients in the Hutchinson, KS community. We can't wait to speak with you! Must be a Registered Nurse in the State of Kansas. BLS through the American Heart Association (within 30 days of hire). Hutchinson Regional Healthcare System has partnered with StaffGarden to schedule interviews for open positions! StaffGarden’s software allows RNs to easily enter their contact and career information and schedule an interview. StaffGarden’s promise: we will make this easy! Simply tell us when you would like to talk by selecting a time. We will call you at the time you select to learn more about you, your experience, and explain the unique opportunities that await you at Hutchinson Regional Healthcare System. We can’t wait to meet you! 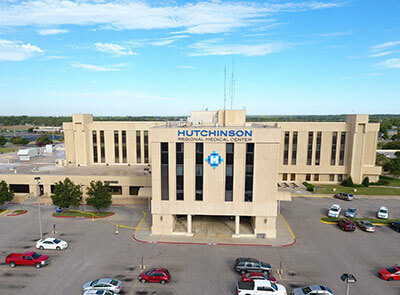 Hutchinson Regional Medical Center is a not-for-profit, 200-licensed bed medical facility serving the health needs of more than 65,000 residents of Hutchinson, Reno County and the surrounding Central Kansas region. Hutchinson Regional Medical Center is a proud recipient of the 2018 American Heart Association/American Stroke Association's Get With The Guidelines®-Stroke Gold Plus Quality Achievement Award for reaching an aggressive goal of treating patients with 85% or higher compliance to core standard levels of care for 2 consecutive calendar years. A StaffGarden team member will contact you at your preferred time to review your ePortfolio, match you with an available opening, and schedule you with Hutchinson Regional Healthcare System. Interview information will be shared with those who are scheduled for an interview. Times will be subject to the availability of the hiring managers at Hutchinson Regional Healthcare System.